Transitions and Life Shifts program makes use of PSYCH-K TM, or “performance kinesiology,” a unique blend of tools for change, drawn from years of scientific research on the human brain. This philosophy recognizes that a person’s life is a reflection of his or her beliefs. As a result of lifelong “programming,” we may have adopted some self-defeating behaviors. PSYCH-K provides a variety of safe and effective ways to “rewrite the software of your mind” by changing beliefs that limit you into beliefs that support you. The technique is a user-friendly way to rewrite the software of your mind. 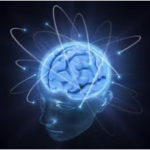 PSYCH-K can help facilitate communication between the conscious and subconscious as well as increase the “cross talk” between the two hemispheres of the brain, allowing you to make deep, life-enhancing changes. Your life is a reflection of your beliefs. Make peace with yourself. The missing piece (peace) between trying harder and trying smarter. Strengthen the link that connects you with your unlimited potential. Free your mind… be the master of your beliefs rather than a victim of your circumstances. If you would like to learn more about Psych-K, email Gerry for a complementary 30-minute discovery session. 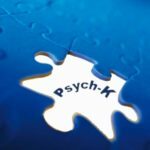 For a limited time, there is a Psych-K Special Offer.